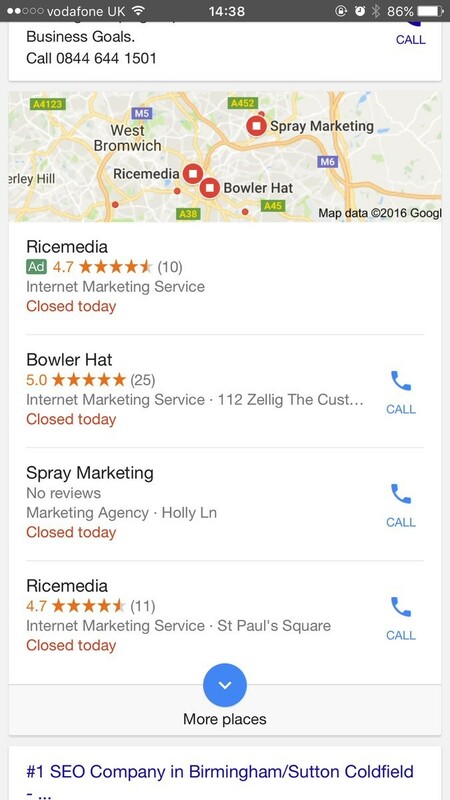 Google is once again changing how it displays local businesses within its search results. The latest update is the arrival of the Google Local Pack ads, which display an advert along with local organic listings. Previously, local listings and adverts were kept separate. This is such a new feature that we are still waiting to see how it will look – it appears that the feature is currently being tested, and therefore not always visible. Our first glimpse of how it looks came from a Tweet by Ryan Scollon (@ryanbowlwerhat). As you can see, the top result is clearly a Google advert, shown by the new green “Ad” image before the business star rating, and the following three results are the standard Local listings. Ricemedia is repeated at the bottom – it has both organic and paid Local listings within the “Local Pack”. Can You Advertise Only In the Local Pack? Many SEOs thought that the introduction of ads into the Local Pack would mean fewer positions for organic listings, however, Google seems to have listened to the concerns of businesses decided to keep the three organic listings and have an additional paid listing. What’s more, as we can see above, an organic listing is not knocked out of the pack just because it is also paying to appear. Of course, this may change. This change is likely to be the most important Google update in 2016, at least as far as localised businesses are concerned. In the last couple of years, mobile search has overtaken desktop search – it is now how most people find local businesses. 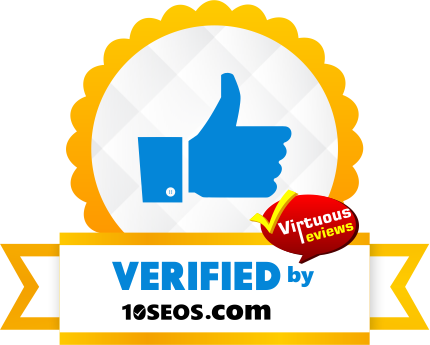 This led to the rise of Local SEO services, which in recent years have become increasingly important in helping to increase local business exposure in an ever more competitive market. The great news for business now is that even without a highly optimised Google business page, it is possible to leapfrog ahead of the competition and win the number one spot in Google. At the moment it is not possible to only advertise in the local pack. You still have to run normal text AdWords adverts, and then enable the location extension so that the ad can appear in the local pack. However, it is possible, and we believe likely, that in the near future Google will allow local businesses to target the local pack without having to also run general Google Search ads. There is one difference, as Ryan Scollon pointed out on his blog post – the paid ad did not include a click to call telephone. We do not know whether this was intended by RiceMedia, or if Google does not allow the call button on their local ad adverts. When the local pack is shown, there are fewer PPC ads in the organic listings. This means that overall, there are still only four paid listings. This makes sense, as we know that you need to run standard text adverts to enter the local pack – it seems that Google is allowing you to essentially move your paid listing from the PPC ad block to the local pack, which is higher on the page and more appealing to most customers. Once again, we can see that Google is making changes to the way it operates its PPC platform. We hope to implement these changes soon to enhance our clients’ PPC campaigns and beat the local competition in Google Search! If you would like help setting up your own ads in the Google Local Pack, or help with normal AdWords ads, speak to one of our PPC managers today and we’ll push your business listing up to the top of the Google results.